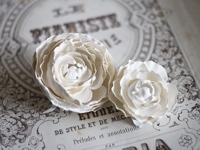 Simply dip a couple of fabric flowers into plaster and you get such elegant plaster roses. 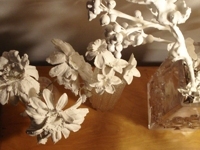 Well, I like this idea very much: to dip real flowers in plaster and use as decoration! 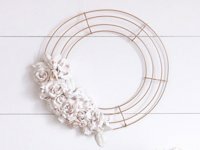 The beautiful flowers with the shaded petals are handpainted, in the right shape broken mosaic tiles.